Idling into a marina often means the end of a boating day, but savvy bass anglers know there’s a flip side; one of opportunity. 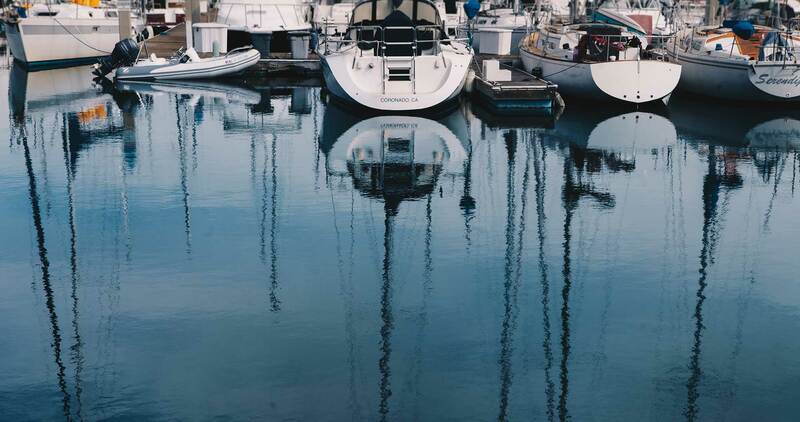 In fact, marinas can be such an attractive option that it’s no rarity to find anglers making this their primary pattern — one in which hopping from marina to marina defines their day’s game plan. So, what’s the big attraction? In truth, it’s a multifaceted appeal. They’re basically parking lots for boats, often with fueling and provisions, but marinas offer undeniable benefits for fish and fishermen. Weather Break: When stiff winds render other places unfishable, tucking into a marina can save the day. 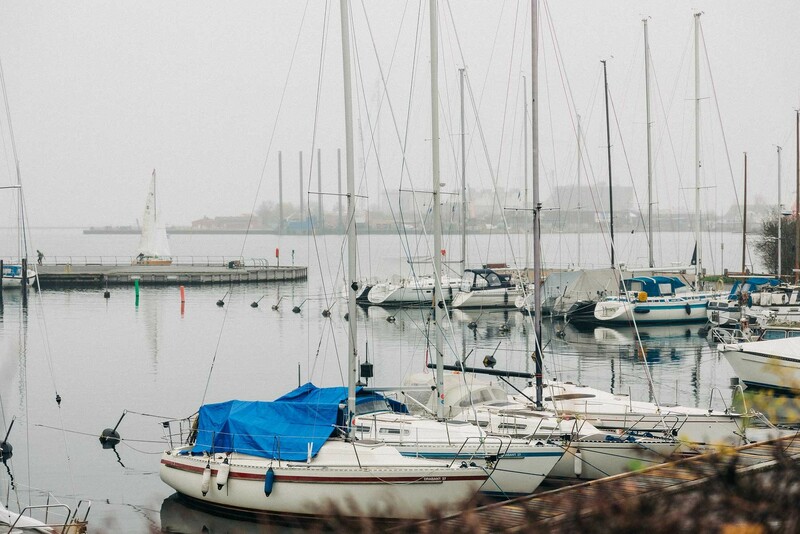 Also, covered marinas can provide shelter during rain storms. Minimal Traffic: A busy day may find other anglers sharing the real estate, but a marina’s idle speed restrictions prevent the water churning blow-outs common to open lake boat traffic. Consistency: Grass beds grow and die; laydowns eventually break apart, weed mats relocate and fragment with the wind; but barring any renovations or natural disasters, a marina remains constant in its habitat features. Diverse Habitat — With a mix of dock pilings, boats, sea walls, riprap and sporadic vegetation (reeds, hydrilla, willows), bass lack not for relatable structure with reliable feeding opportunities. Optimal Temperature — Hot summer days can make for tough main lake fishing, but a marina’s deeper water offers a cooler retreat. Add in the expansive shadows of boat docks and covered slips and the bass find cozy digs that are hard to ignore. On the opposite end of the seasonal spectrum, winter’s chill makes that deep, protected water the clear preference. Moreover, lots of heat-holding structure offers warming stations for shivering bass. Food Court: The semi-enclosed layout of most marinas tends to corral the forage and ensure somewhat of a captive buffet that keeps the bass well fed. Shad, bream, juvenile white bass, crawfish — keep the food handy and the bass won’t leave. • Marina entrances are choke points where fish are easily intercepted. • Drain pipes - flowing or not, bass often hold in the dug-out troughs. • Boat ramps - They warm up quickly and offer baitfish gathering areas for bass. • Points in the riprap or natural shoreline create ambush spots. • Breaks in the bank, such as tumbled rip rap, create the “something different” scenario that bass like. • Wood, such as laydown or logs is always worth attention. A good marina arsenal includes reaction baits and flipping/pitching baits. First, consider covering water with shallow running crankbaits (especially squarebills) along the riprap. Be sure to fit your baits with KVD Triple Grip Trebles for maximum holding power. Also, trace those dock piers and boat slip edges with lipless baits, swim jigs, spinnerbaits, medium swimbaits or bladed jigs. For docks, piers and even the gaps under pontoon boats, you can’t go wrong with a worm or creature bait rigged on a Mustad KVD Grip Pin flipping hook. If a more subdued look is what they need, send in a Mustad Elite Stand Up Jig Head with a green pumpkin finesse worm and wiggle it around those pilings.